Home 2019 March 16 Who are the victims and missing? Forty-nine people are confirmed to have died in Friday’s attack on two mosques in Christchurch, New Zealand. Officials are now carrying out the difficult task of identifying those who have died. No victims have yet been named officially. Daoud Nadi was the first of the victims to be identified. 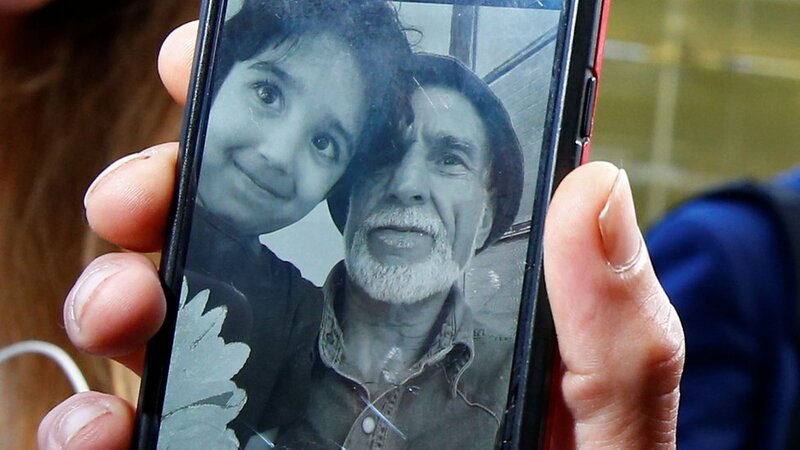 He was born in Afghanistan but moved his family to New Zealand in the 1980s to escape the Soviet invasion. Daoud Nadi is believed to have thrown himself in front of other people in the mosque to protect them when the gunman burst in. On Friday he was at the Al Noor mosque with his mother. His father told New Zealand media on Saturday: “I haven’t heard officially yet that he’s actually passed but I know he has because he was seen. “I remember him as my baby who I nearly lost when he was born…. A brave little soldier. It’s so hard… to see him just gunned down by someone who didn’t care about anyone or anything,” he said. His half sister Brydie Henry earlier told reporters he had last been seen “lying on the floor of the bloody mosque, bleeding from his lower body”. “He’s a regular, typical, Kiwi kid,” she said. In the live video of the attack at the Al Noor mosque, Naeem Rashid is at one point seen attempting to tackle the gunman. Mr Rashid was badly injured. He was taken to hospital but his family have told BBC Urdu he died. He is being widely hailed as a hero. Also killed was his teenage son, Talha. Pakistani officials have not confirmed any deaths but say five Pakistanis are missing. Some relatives of people who were at the two mosques have been speaking to the media. Hosne Ara is reported to have been in the women’s area of the Al Noor mosque when she heard gunfire. Her husband, Farid Uddin, uses a wheelchair and was in the men’s area. “Immediately after hearing the sounds of shooting, she rushed to the spot to find out and save her husband, but received bullets and died,” her nephew told Bangladesh’s New Age newspaper. Her husband reportedly survived. The group Syrian Solidarity New Zealand says Khaled Mustafa was killed at the Al Noor mosque. Mr Mustafa was a refugee from the war in Syria and moved with his family in 2018 to New Zealand, which they considered a safe haven, said the group. The family of one three-year-old boy, Mucad Ibrahim, say have not seen him since the shooting broke out. They have not found him yet at hospitals treating the injured. His brother, Abdi Ibrahim, told local media they believe Mucad is dead. Police have confirmed only that at least one child was killed and many were injured. None has been named. Cashmere High School in Christchurch has confirmed that two of its current students and one graduate are missing. Another student is in hospital. The doctor has not been seen since the attack at the mosque where he prayed every Friday. His family told New Zealand media they have checked the hospital and anywhere they can think but haven’t found him. They believe he is dead. “It’s terrible… we were hoping to find a better future for us and for the children we were planning to have,” his wife, Hahan, told New Zealand Herald. She described him as “a very kind man”. The couple had moved to New Zealand 23 years ago, and had two sons. Mr Hamid specialised in cardiorespiratory illnesses for the Canterbury District Health Board. “This is meant to be a safe country. New Zealand is changing forever,” his son Husam Hamid said. The Afghan Association of New Zealand says a second Afghan has been confirmed killed. Their name and age is not yet known. Each Friday, Hussain al-Umari would go to the mosque then would go to his parents’ house for dinner. He last spoke to his parents on Thursday – he was excited, because they had just bought a new car. Janna Ezat and Hazim al-Umari, who moved to New Zealand from the United Arab Emirates in the 1990s, have not heard from him since the attack. Stuff.co.nz quoted them as saying he was “a kind guy” who “always tried to help people”.